HIT! 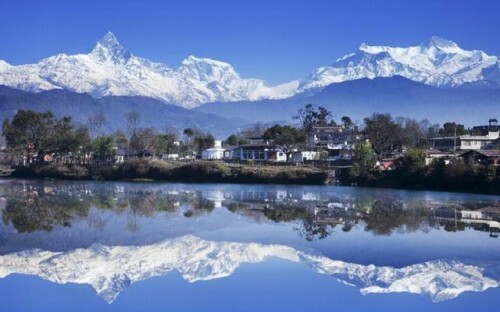 Cheap flights to Nepal: Kathmandu + Istanbul in 1 trip for only €331! If you want to visit beautiful Nepal and climb some mountains you can now get really cheap tickets. Part of the ticket is also stopover in Istanbul for few days which is perfect opportunity to visit this Turkish beautiful city. Multicity tickets London – Istanbul – Kathmandu – London are available for only €331 / 278 GBP! Travel dates are from January to July 2017 so you will have plenty of options to choose from. 23 kg luggage is also included. 19.1. – 21.1. – 3.2. 19.4. – 21.4. – 4.5. 3.5. – 5.5. – 18.5. 12.6. – 14.6. – 27.6. 3.7. – 6.7. – 18.7. 10.7. – 14.7. – 25.7. Book now before it’s gone!